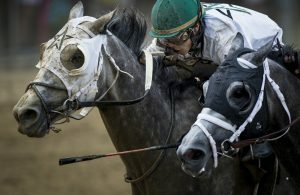 In the 10 days leading up to this year’s Belmont Stakes, we saw the defections of Conquest Mo Money, True Timber, Belmont favorite, Classic Empire, and on the day of the race, Epicharis, the Japanese import, was scratched. All of these horses were pace and presser types, so with every defection, the pace set up just got better and better for those that would remain as horses that would run on or near the pace. With Classic Empire defecting from the race, that left Tapwrit as our lone A horse with a commanding score of 92% (next closest score was 81%). He projected to sit the perfect trip on the rail behind the pace setter and other pressers which is exactly what transpired. He had been training really well up to this race and he certainly was bred to get the distance. 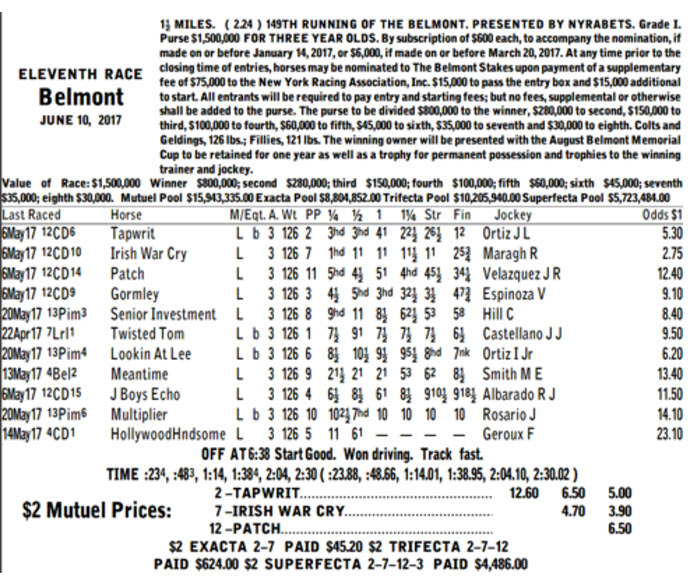 In the end it was our top win pick, Tapwrit prevailing over our number one “B” horse, Irish War Cry, for the Belmont Stakes win. With the scratch of Epicharis on Saturday morning, we moved Patch and Gormley up in the rankings as the more favorable pace set would work to their advantage and that turned out to be a good move, as that pair finished 3rd and 4th, respectively. Did YOU Cash? Let us know! [email protected]! Every year over the past 25 years, you could count on at least one closer and usually more to hit the Superfecta. Not this year. The top 4 finishers were all within 2 lengths of one another at the halfway point in the race. With the very slow pace splits of 48 3/5, 1:14 and 1:38 4/5, closers had no chance and Senior Investment was best of that bunch, finishing in 5th place. The Super Screener faded Lookin At Lee as he violated some key Super Screener criteria, indicating that he would be over the top for this race. Not sure what happened to our top long shot pick, Multiplier, who ended up last (with Hollywood Handsome pulled up) but the jock stopped riding him, so we’ll see if we can get a report on him. In the meantime, Meantime had the right pace set up but after a mile he backed away. He was just facing too much better in the end and that Peter Pan Stakes race in the slop will be downgraded. 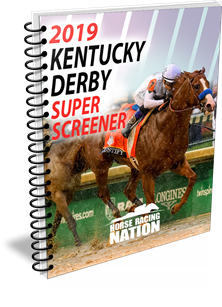 “(Tapwrit) The decision was made to use his Kentucky Derby and Tampa Bay Derby races in deriving his Super Screener score as the Blue Grass was not representative of his true abilities. In the Derby, he finished just over 2 lengths behind Classic Empire with both having a ton of trouble. And, he finished on pretty much even terms with Practical Joke in the Derby (latter having a relatively trouble-free trip) and that one beat Tapwrit by 10 lengths in the Blue Grass. He has that perfect “troubled-Derby, skipped the Preakness” profile shared by recent Belmont winners such as Creator, Palace Malice and Union Rags. He lays out energy in a very balanced way which is perfect for this 1 1/2 miles distance which breeding and the way he moves suggests he’ll get. Is definitely outworking Patch in the AM and looking stronger for Pletcher. 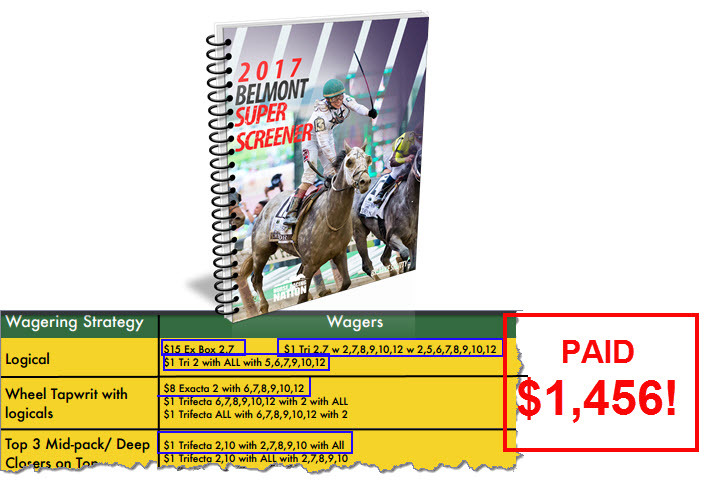 Thanks to the Super Screener isolating Tapwrit as the lone top win contender and Irish War Cry as the top B horse, the suggested wagers that hit included the $1 Exacta hitting 23 times and the Trifecta clicking a couple of times. With the Triple Crown races now in the books, the G1 and G2 stars from the top barns will start thinking about the upcoming Saratoga and Del Mar marquee meets. However, until then, there is plenty of Graded Stakes action to leverage along the way. For example, this coming Saturday, Churchill Downs will feature 5 Graded Stakes on the card highlighted by the G1 Stephen Foster Handicap in which we will see the return of one of the top stars in the handicap division (and a Super Screener favorite) Gun Runner…so don’t miss out on all the upcoming action. Want more Super Screener? Get Super Screener Weekly for the Advantage Every Weekend! 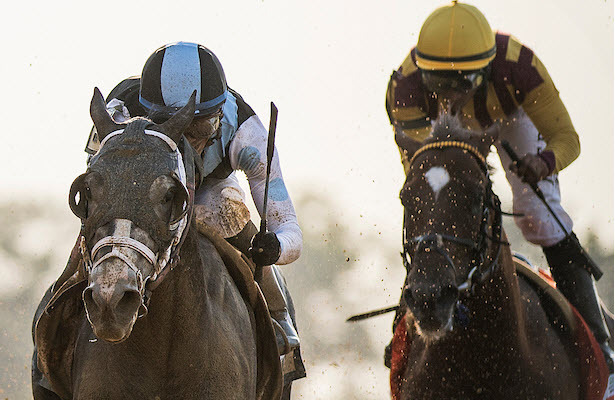 ← Previous Story Should You Bet Closers in the Belmont Stakes? Need to say i had my doubts in the first two legs maybe i did not bet it right but the third one Belmont brought all my money back thanks guys. I used #2 Tapwrit in my all/2 Daliy Double and scored over $2000 for a $90 bet. Thanks. Didn’t cash on my super, but great pick on the winner. Always enjoy reading your analysis and insight. Keep up the work Mike! Thank you for another nice score in the triple crown races. Had 200 across on Tapwrit. I have been with you for past 5 years and enjoyed mostly success. This past Belmont I had placed a wager of $150 to win on #2 Tapwit-a $2 Tri bet on 2,7 W 2,7 with 2 thru 10,12. a $12 exacta 2 W 6,7,8,9,10 and 7 W 2,6,8,9,10. Only ticket I lost was the last one. Great week thanks to your expertise and my faith in the program. This is not the 1st time I came out a winner.There were more winners in my Over 55 development I I place wagers for about 20 people. The above were just my wagers. Cashed $538 super screener has been so cold it was hard to place a bet on this one. I had the exacta for 10$ and the tri for a dollar. This was from the logical strategy didn’t play the second tri that hit wasn’t that confident. Super screener really brought my handicapping opinion into sharp focus as I loved Tapwit going into the Belmont. Reading your Screener criteria just made me that more confident he was sitting on a big race. I liked the other New York based horses underneath making my exacta and triple scores good. Thanks Mike!!!! Did hit the trifecta.thnx.it was great. My first time trying the super screener and I still didn’t really know how to use it. When I went to place my bet is when I found out that the number 11 horse was scratched. I just replaced him with the number 12 horse and won the $2 tri for $624.00. Because of the time difference, east coast/west coast the alerts come in to late for me to use any of your changes. I managed to pick the horse to replace the strached horse. Thanks, I will be using you again next year.